The most endangered bird in the Caribbean, the Bahama Oriole, has set up housekeeping under a palm leaf. Nelson is one of nine graduates of the Bahamas advanced course, which was conducted on Andros Island as well as Inagua Island, some 600 km to the southeast. (The basic class had 49 graduates.) Andros and Inagua are what Bahamians call “family islands.” On these less-developed islands, unemployment is high, poverty is increasing, and ambitious young adults are leaving for better opportunities elsewhere. 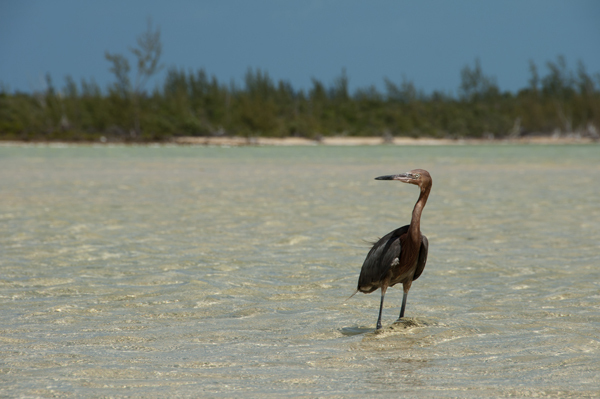 For birders, though, Andros is a paradise. Depending on the time of year, a visitor can see world-traveling shorebirds such as the Piping Plover or inland residents like the Great Lizard-Cuckoo. Other uncommon birds that spend at least a part of the year on Andros include the Bahama Yellowthroat, Bahama Swallow, Key West Quail-Dove, and West Indian Whistling-Duck. 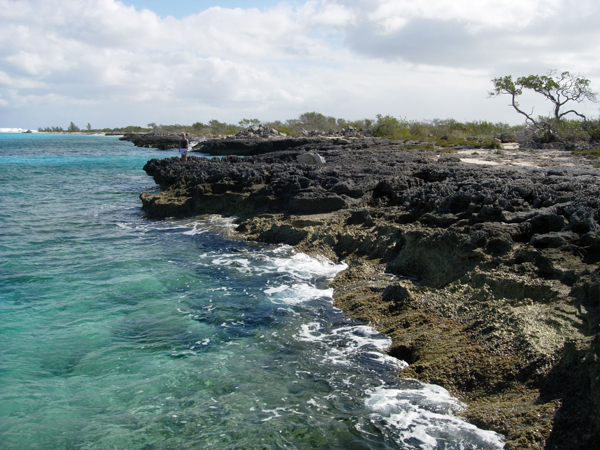 In January, the Bahamas Ministry of Tourism made it a national priority to promote Andros and Inagua islands to birders. On both islands, bird lovers are beginning to show up more often, booking hotel rooms and hiring guides. Birding seems to be on the verge of becoming a significant alternative for local economic development. 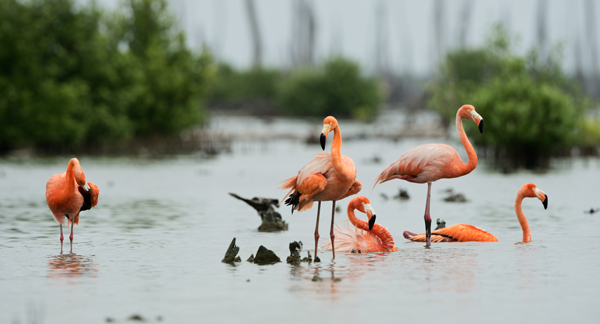 IF YOU GO – Join Audubon’s Matt Jeffery on the December 8, 2017 9-day Flyway Expedition: Birding and Conservation on Andros, Great Inagua and Abaco Islands. Cape May Warbler. Baltimore Oriole.